“Greta” is sired by our two-time AHR National Champion Stallion and two-time AHR Stallion of the Year, Arno van het Nieshof. 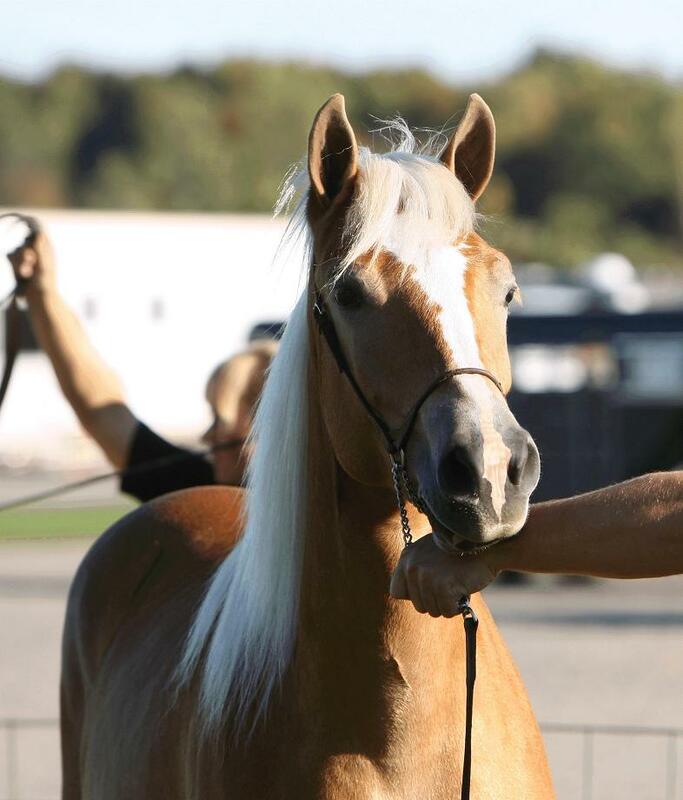 This filly’s dam is Golden Angel RAH who is an exceptional performance mare for Charlotte Ridge Haflinger Farm in Dafter, Michigan. 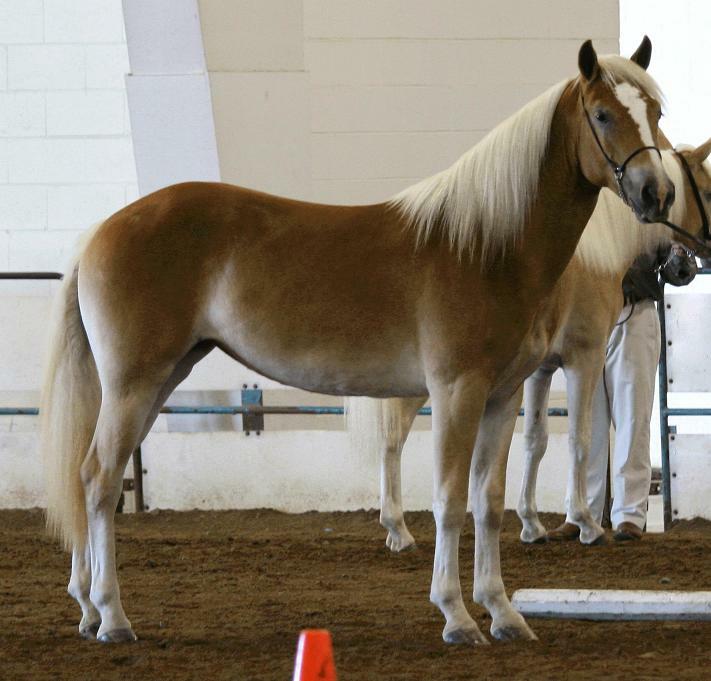 This filly’s great-grandsire, Aristocrat TOF, is a gold classified stallion and is one of the premier stallions in the haflinger world. Greta lives up to her name: this beautiful filly truly has a deep golden metallic color that catches peoples’ attention wherever she goes. Greta was a part of our 2007 Genesis Farm show string. This filly was the 1st place yearling pleasure filly at the GLHA Futurity. Greta was also the 1st place yearling filly at the AHR National Show, eventually going on to be named AHR Reserve Junior National Champion Mare. Greta was also a vital component in our 1st place entry at the 2007 AHR National Show in the Best Three Mares class. Greta is now owned by Jim and Carmen Wiggins of Maple Front Farm. Her show career will continue in 2008 and we look forward to seeing her continue her winning ways!